I consider myself a #citizenoftheworld. My name is Mohannad Bitar and I came to light as Mr. TIQ in 2016.  After foreseeing success through This Is Qatar, founded in 2015 and through Qonnect, the networking and charity event in 2015, it motivated me to create a platform to extend my personal social media platform to Mr. TIQ to share my journeys, adventures, personal experiences, and most importantly to be interactive with my followers. This gives my audience a more personal insight of my day to day life as a young entrepreneur and as the founder of This Is Qatar. I like to use my online presence to document my adventures, express myself, and to project the importance of living life to its fullest, which is the way I believe life should be lived. Although I love traveling, I also share many different aspects of my lifestyle such as food and entertainment. My mission is to inspire creativity and to create valuable and original content that will motivate and project positivity.